There has been 1 coaching change so far on KU’s staff. Arizona St. hired Rob Likens to be their new WR coach today (12/20). David Beaty wasted no time and promoted Garrett Riley, brother of OU’s OC Lincoln Riley, to QB coach. We’ll see what other changes happen, but this one is not surprising considering Likens demotion before the season. I assume at this point that Jason Philips will now coach all the receivers instead of the outside receivers like he did this past season and Beaty will stay as OC for now. @Texas-Hawk-10 I just posted on this my self, didn’t see yours yet. I think its a good move, time will tell. 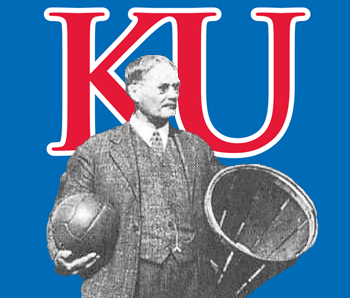 KU has lost a second coach. WR coach Jason Philips is leaving to join Gary Andersen’s staff at Oregon St. Philips will be their WR coach and passing game coordinator. If Beaty is going to double up on duties at KU, WR coach is the one he is best suited for considering his WR coaching background. This also frees up a coaching spot for a full time OC if Beaty wants to go that way which he probably should. How about Sonny Dykes as WR/OC? I think that would be a home run hire for Beaty. Dykes has TX ties, has ran a spread system in the Big 12, and brings some HC experience to the staff as well. KU has hired TCU’s Doug Meacham as offensive coordinator and receivers coach. This is a big get for Beaty because Meacham had a huge hand in the installation of the Air Raid at TCU with Boykins. Meacham was also one of the names that was popping up on people’s wishlist when Beaty got the job. Meacham has plenty of experience with the Air Raid at TCU and Houston as an OC and at OSU as passing game coordinator. This is a homerun hire for KU at OC. KU football on the rise. Dang. Did not see this hire coming! I was hoping Beaty would do the right thing and hire an OC and man did he ever! Who would of thought in the middle of basketball season KU football would make a splash. @jayballer54 who is your avi? @jayballer54 she is asking who is in your picture?